In this series, you'll hear Pastor Robert's powerful life story that began with the night he ultimately surrendered his life to the Lord in Room 12 of Jake's Motel. 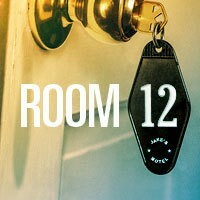 In this series, th you'll hear Pastor Robert's powerful life story that began with the night he ultimately surrendered his life to the Lord in Room 12 of Jake's Motel. In these moving messages, he talks about a true relationship with God, coming to terms with feelings of rejection, and demolishing a rebellious spirit.